For that extra special gift or to pamper yourself, why not give a treat or treat yourself to a luxurious 100% Natural Alpaca Blanket. Taking the best of our alpacas fleece for spinning and then weaving into the ultimate delight, a warm but lightweight alpaca blanket, especially woven for Cherwell Leys using our fleece and design. 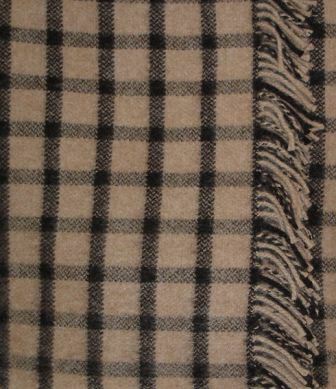 Each blanket is sized at approx 60 inches by 72 inches and is finished with tassels to two opposite ends. 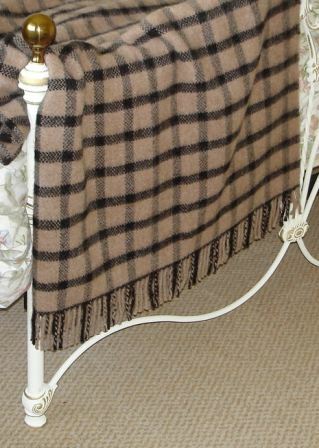 Blankets are in a rich camel colour with black overcheck. They are spun and woven in the UK using Cherwell Leys alpaca fleece. 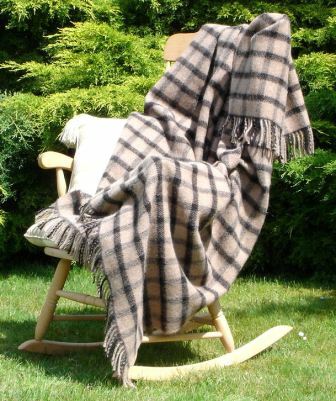 Blankets are available to purchase direct from our farm, or we can supply by post, please contact us for more details. No Bleach, No Dye, Just 100% Natural Alpaca. Specialist Clean or Hand Wash.
Each blanket is supplied in a paper gift bag.